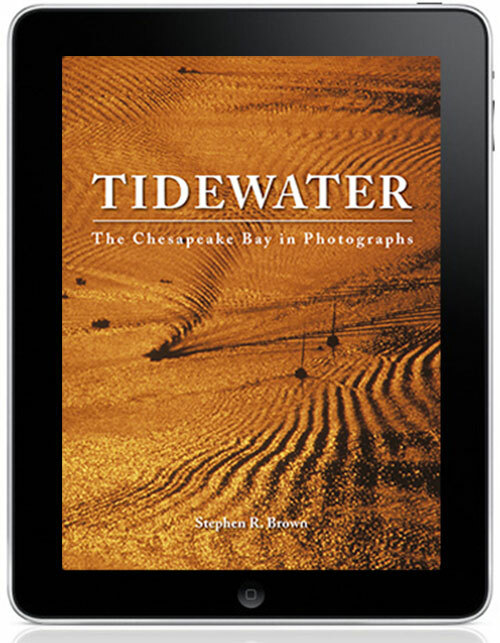 “Tidewater: The Chesapeake Bay in Photographs” now available in Kindle format. I use Adob’s Creative Suite to layout books and PR material. As everything is photographed digitally, changes can now be made to the digital books as they happen rather than waiting for a run of 5 or 10,000 books to sell. If you own the book, you will instantly notified that a change or update has been made. I am delighted that Jane Howitt managed to overcome all the “not-so-wee” hassles involved in putting this puppy online. It is priced at $14.99 just like the Apple format but can be played on any device you own. Apple is currently introducing a new OS which will allow for our books to be played on multiple devices. September 23, 2013 | Filed under About the Book, Blogs, Books, Photography, Tidewater and tagged with Annapolis, Chesapeake, Chesapeake Bay, Current Affairs, Environment, Estuary, family, fishing, National Park Service, photography, St. Michael's, Travel.